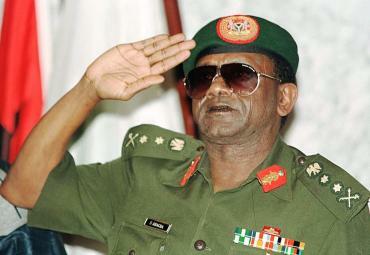 The loot of late dictator General Sani Abacha are still scattered across several states around the world, despite the fact that Nigeria has already recovered over $1 billion. The new sum expected is about N88.7 billion. State of Jersey, the biggest territory in the Channels Island, is set to return £315 million Abacha loot to Nigeria. The Island state had previously been returned to Nigeria in two tranches £140 million of the loot. Micheal Birt, the Ballif of Jersey, disclosed this at a dinner in honour of Dr Dalhatu Tafida, Nigerian High Commissioner to the UK during a state visit to the Island. Birt, who doubles as the Island’s Civic Head of State and ceremonial head, is the highest ranking official in the Jersey order of precedence. The News Agency of Nigeria (NAN) reports that the money was laundered on behalf of Abacha by Mr Raj Bhojwani, an Indian businessman, who is currently serving an eight-year sentence in a UK prison. Birt said that the decision of the State to return the loot was in line with ongoing campaign against money laundering. The Island is known globally for its transparent banking services, but the perception that it is safe for money laundering is building up. Tafida commended Birt for the Island’s transparent banking sector, and informed them of government’s commitment to fighting corruption and strengthening its anti-graft agencies. He also emphasized Nigeria’s impressive economic growth and high return on investment rate. “The array of investment opportunities that abound in the country and generous incentives available to investors in all sectors of the economy, has continued to make it a global investment destination,” Tafida said.